Habs lost 3-0 to LA,last night. Wings will be in Montréal,Monday;Dave,time to place your bet. Why. .Oh Why.... Can't you be nice to us like that once in a while? What is it.....14 straight losses to you guys now...!!!!. OK Dave...... WINGS and BRUINS this afternoon. Any bets on the outcome? Paul the last time we won in your barn your guys had powdered wigs so I figured it would take some luck on our part. But going up against what may be the best line in the NHL certainly showed how far we have to go to be competitive. OMG 8 to 2. Yeah....Our first line has been great and was on fire today. Younger guys and new trade players are fighting for permanent spots in the lineup. Cassidy's philosophy is that if your don't play hard and smart the whole game you'll watch a few from the press box before you get another chance. I kept looking for Zetterberg. Announcers finally said that he'd retired..... I always liked the way he played. Thanks. Z was the last great captain to sport the Winged Wheel. He played his heart out his entire career, especially last year after serious back surgery. He said his training this past summer did not go well, so he hung up his skates although he is officially still on the payroll. What a great career he had. In case you're wondering why I care about the WINGS they were the first team I ever rooted for when I became interested in Hockey while working in Canada in the mid 60's. I've always kept a close watch on them ever since even though I changed my allegiance to the FLYERS and now the BRUINS., . 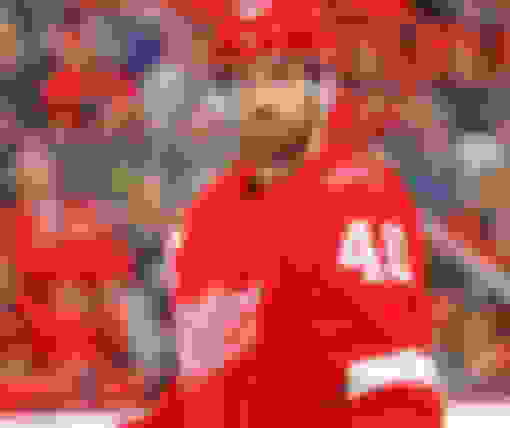 Zetterberg finishes his career with 960 points. 337 of those points were goals, whereas 623 were assists. He is fifth in team history in points, goals and assists. He led the team in scoring in the 2016-17 season, but he seemed to know that the writing was on the wall earlier this offseason. "Every time I try to amp up my workouts, I get symptoms again," he said in August to The Detroit Free Press. "Surgery is not an option. Since February, it has slowly gotten worse — things like nerve pain down your legs, disc-related issues. I was able to find a way to get through it, but it has slowly gotten worse. Finishing your career after three straight seasons of playing 82 games is pretty impressive for a 37-year-old. It's safe to say no one will begrudge Zetterberg for turning it in.